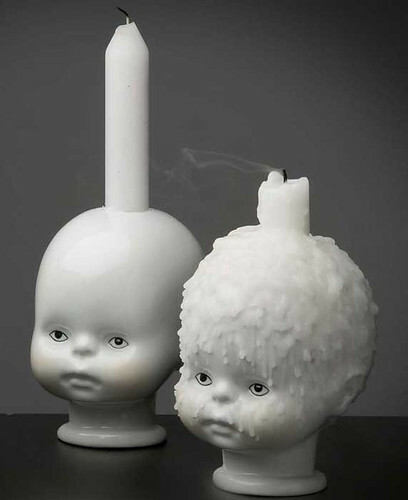 Little Joseph candleholders by Qubus please one. One fantasizes about plugging Little Joseph's head hole with multicolored candles, and one laughs. 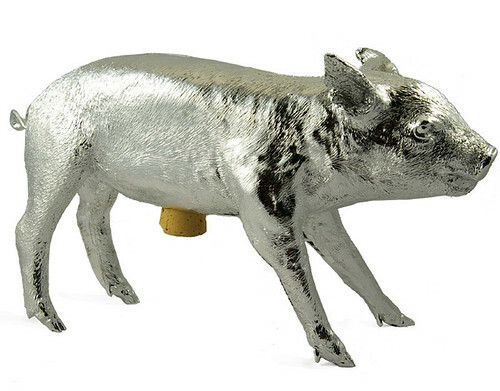 One also enjoys all kinds of piggy banks, but one is especially enthralled by this piggy bank cast from a real suckling pig. One has read that piggy died of natural causes, and also that $10 from the sale of each pig shall be donated to the Humane Society. That makes one happy. 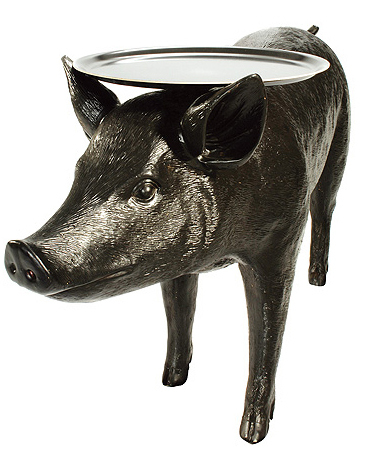 Actually, as a general rule, one likes pigs, and one also covets Karly's gold panther platter tables, so why not a gold pig platter table? Conflict! One cannot have two tables, and one LOVES gnomes. 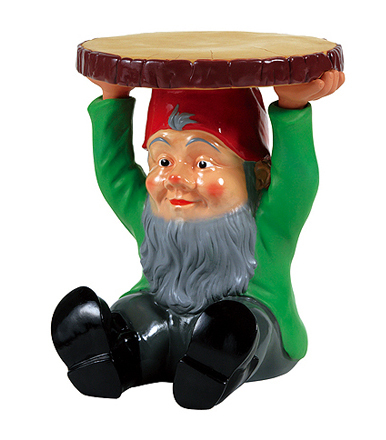 One may or may not have had a David the Gnome fetish as a child... One also finds it funny that Philipe Starck designed a gnome table. 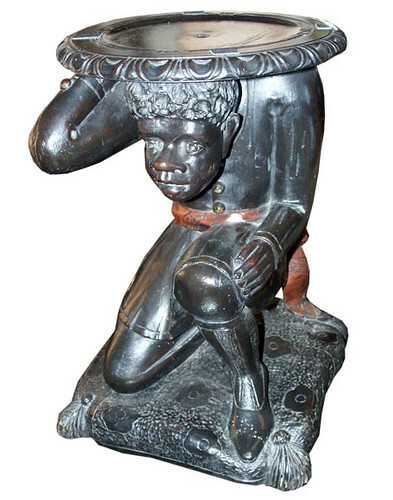 One does NOT want this table, as one is totally offended by the idea that a "Blackamoor" (foolish term courtesy of the seller... one would never be caught dead saying such things) should be forced to carry cocktails. One feels that whomever purchases this table is a bad person. Not that one is judgmental, or anything. One's agitation is soothed by these multiracial baby hand soaps. One likes the tiny baby fist that appears to say, "Fight the power!" in tiny baby sign language. 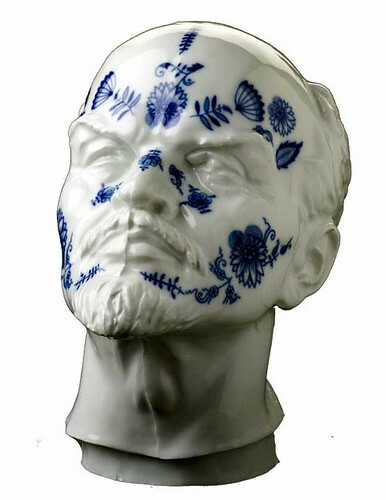 One very much DOES want this bust of Lenin covered in traditional Czech patterns. One never realized how Lenin's facial hair makes him look uncannily Satanic, but one is entertained by his creepy visage in juxtaposition with the pretty pretty flowers.